Everton Football Club have enjoyed their most progressive summer in decades. Things are looking up for the blues, with new signings in and a new stadium on the horizon of the city’s world class waterfront. But bringing back Wayne Rooney? No matter what happens on the pitch, that’s a regressive step. By Alan O’Hare. Remember the name? I’ve never forgotten it. Wayne Rooney submitted a transfer request to Everton Football Club in August 2004 and walked straight into Manchester United folklore. The facts are unarguable: five Premier League titles, a Champions League triumph, an FA Cup winner’s medal, a Europa League victory and three league cup successes. Throw in becoming the all-time top scorer of United and England and we’re talking a statue outside of Old Trafford probably in his lifetime. These days, though, it’s not all about what happens on the pitch. During his time away from the blues, Rooney was forced to offer a formal apology in court to David Moyes following the publication of his autobiography; held United and Alex Ferguson to ransom whilst flirting with main rivals Manchester City; made his way to the front of the nation’s tabloids thanks to many allegations of infidelity; was sued by the Proactive agency for withholding millions after leaving the company with agent Paul Stretford (Proactive were eventually awarded £90,000 restitution) and… well, you get the picture. The point? 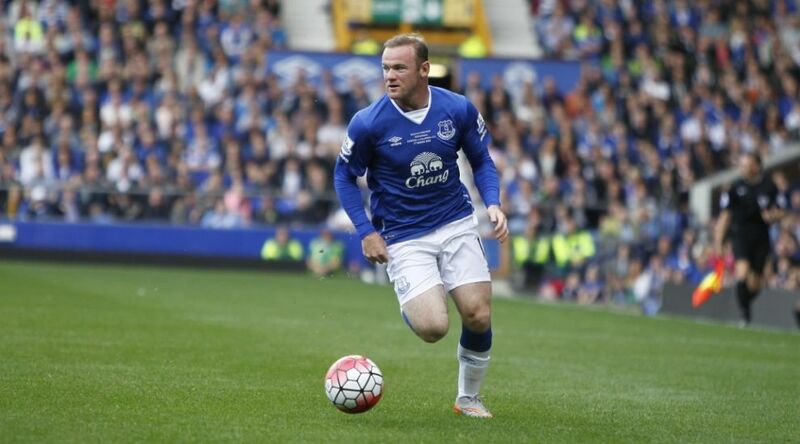 Everton have lost more than they have gained in bringing Rooney back. Two more instances, in the weeks since his return, have also brought an unmistakable stench to Goodison Park: the snub given to England manager Gareth Southgate in waiting to be asked back to announce his retirement publicly and being arrested for driving over the prescribed alcohol limit. The latter, clearly, is unforgivable. EFC have a great reputation within and outside the football world for the way they conduct themselves in the wider community – the reason blues have become so attached to the ‘People’s Club’ and ‘born not manufactured’ folklore is that where the club come up short to their main rivals across the park and up the M62 in the honours’ lists, they leave the rest standing when it comes to giving back to the people and geography that remain the catalysts for their existence. Bringing Rooney back as a hero continues to threaten that. In a football sense, it’s an admission of second best and an acceptance of the status quo. Sure, he’s still a very good footballer, but who else was in for him above Everton in the league? Why were United prepared to let him go without a fight? Why didn’t Chelsea nip in for him to replace Diego Costa short-term? Because his best days are well behind him. And whilst he may arguably offer as much as Ross Barkley, he’s not in Romelu Lukaku’s league… and it’s goals Everton are currently crying out for. I’ve read all about the ‘experience’ and ‘wisdom’ he’ll bring to the youngsters, but surely his latest off-the-field activity puts paid to that nonsense. In football terms, signing Rooney was the least progressive move of Everton’s most forward-thinking summer in decades. Off the field? I don’t know where to start. Well, there is one place… the front page of The Sun newspaper. It was 2004 when Rooney made the decision to give The Sun the nod to publish exclusive extracts from his then-upcoming autobiography (there’s been about four, give or take the odd re-release, since). Fans now insist that the player was badly advised about HIS decision, but that’s naive at best and desperate at worst. Rooney also allowed himself to be used (and quoted) that week in the newspaper’s attempt to discredit rivals Trinity Mirror and gain acceptance for the pathetic apology it was then-peddling for the contemptible Hillsborough slurs they’d perpetuated since 1989 (read more from HJC at the time, here). It’s worth noting, too, that Wayne Rooney has never apologised for – or acknowledged – this whole debacle in public, either. Why? You can draw your own conclusions – about £250,000 of them, allegedly. Rooney has looked after number one and divided opinion in the dog-eat-dog world of football since he launched himself at Steve Vickers in late December 2002 and got himself his first red card. Some might say “good on him” and some might call him a selfish. Whatever… football is a game of opinions and not one fan or interested observer (aren’t they the same things these days, really?) can influence what he does on the pitch. But we can influence our football clubs – and the reaction of the majority of Evertonians to Rooney’s return has depressed me. I keep wanting to write something purely about football to offer an olive branch to those who are happy to see him back. But, you know what, it’s not important enough. The courage of your convictions (no pun intended) are what matters in this life and whilst Wayne Rooney shows plenty of courage on the pitch, he has shown none elsewhere throughout his career. The measure of the man? It’s marked in money. And I can’t ignore the colour of The Sun’s. Remember the name? I’ve never forgiven it. First of all, whilst I admire efc's work in the community, they are no more or less the 'peoples CLUB' than LFC or any other club, as for ROONEY, is anyone surprised? He'll never change, I feel for his wife and children, imagine the stick his boys will get in SCHOOL, as far as the football goes, he wouldn't get in the starting eleven at any of the clubs with title aspirations. not sure about progressive? Results so far don't show it! A very good article re Rooney but the person who should be blamed for all the 'BAGgage' that comes with Rooney is Koeman (sic). As soon as it was known lukaku was off he should have been looking for someone of the same I'lk, someone like (and thankfully not!) Mousa dembele. So you wouldn't have had to write this column, great though it is, but for terrible judgement from your manager!